Stu’s Bike | Birmingham Hardcourt Bike Polo, UK. At the moment I am very happy with my setup and wouldn’t change anything, although I have considered and then rejected a couple of modifications. The first is swapping the ultra-short cranks from a set that are less leverage-challenged. I might be able to accelerate slightly faster with a longer crank arm because of the mechanical advantage but I would run the risk of creating opportunities for pedal strike, which up until now has never been an issue and I can corner as aggressively as I like. The second consideration was to cut down the right hand side of the bars (non-brake-lever side) to facilitate a clearer path for my arm when swinging for the ball as I’ve caught my arm on the bar-end many times. However, if I ever retire this bike to be used for more conventional duties on the road, I’d like to keep the same bars and having a lop-sided set-up could get annoying, although if I sourced a Dirty Harry lever or similar that you can run on the bend of the bars this could be overcome. The frame I use had a seatstay repair done by Ryan of Oak Cycles (top bloke). From what I heard from the few framebuilders I contact when looking for a suitable repairer, many Dawes frames from this era with the trademark leaf-shaped crimp at the seat cluster suffer from this structural failure. 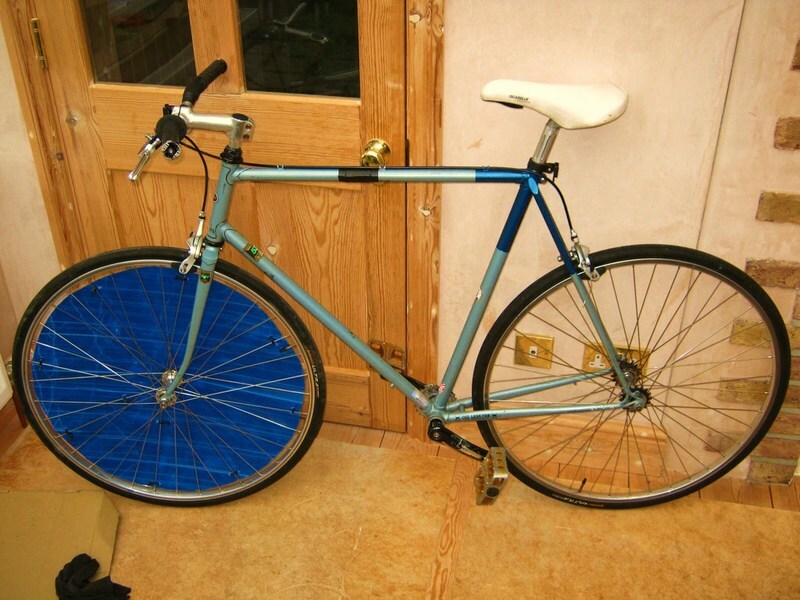 Freewheel for to/from the court, fixed for the games. Fixed up polo 4 life! Nice post Stu, but you should experiment with chopped bars if you think it will help. You’ll be playing polo for years to come, so this bike won’t be retired any time soon, and even if it is, you can get bars for a fiver off eBay.